Dalaman is very important for yacht tourism. Popular coves Kursunlu, Akbuku, Gobun, Boynuzbuku and Sarsala are in town. These coves have been known as Gocek coves. Blue cruise tours are most popular holiday options in recent years. Travellers who are looking for many options in their holidays, may find blue cruise tours. Gulet charter Marmaris and other popular routes will be had you unforgettable holiday memories. It is able to prefer what route you want in blue cruise tours. Thus, you should prefer private yacht charter option. If there is no problem in safety, the chosen route is performed. You should inform charter company official to get more informations. 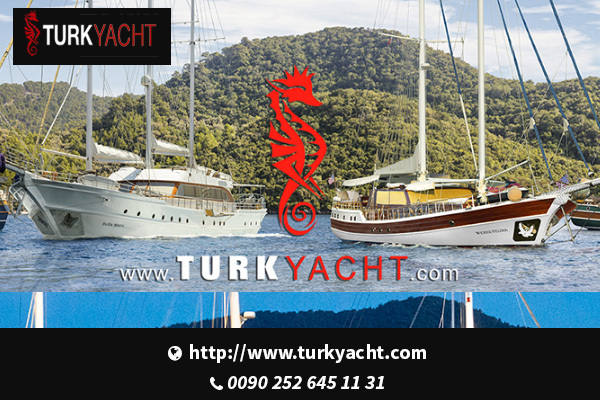 Turkyacht organizes blue cruise tours with gulet charter Marmaris. We have been trying to give best services for you without sacrificing quality. Blue cruise tours offer you rest too much. Moreover, it is able to do many water sports. Waters sports may done in charter yachts depending on yacht facilities, or in visited coves for certain prices. Blue cruise offers a holiday which is away from city crowd, stress and in the middle of nature and sea. Priene lies in Güllübahçe at a distance of 15 kilometers (9 miles) from Söke town nearby Kusadasi, in the Aegean region of Turkey. The city was founded in the 2nd millennium BC in an unknown location nearby and then carried to its present location on the clifs around 350 BC. The visit of the archeological site requires some steep walking up after the car park, following a footpath and some steps through the Hellenistic city walls. Miletus is located in the vicinity of Söke town, nearby Kusadasi, in the Aegean region of Turkey). The city was built on the seashore in the ancient times. The Miletus people who had founded about 90 colonies in the Mediterranean and Black Sea regions, after 650 BC, had resisted the Persian invasions in Anatolia, but they were defeated finally and the city was destroyed by the Persians in 5th century BC. When you arrive at the ruins, the magnificent theater of the city appears in sight at first. The theater had been constructed during the Hellenistic period and it acquired its present characteristics by means of the annexes made during the Roman period. The walls of the front facade of the theater are 140 meters long and 30 meters high, and are an interesting example of stone workmanship. The theater was large enough to hold 24.000 people, but a fortress was built upon it during the Byzantine period seizing its capacity down to 15.000 people. Didyma (nearby Didim, in the Aegean region of Turkey) was a cult center for the city of Miletus. It is located in the present day village of Yeniköy, about 15 kilometers (10 miles) from the site of Miletus. In ancient times, these two cities were connected to each other by a sacred road that had statues located on either side of it. The Didymaion, the temple of Apollo and its oracle at Didyma, had a considerable reputation in the ancient times. German archaeologists excavating at the site have shown that the earliest sanctuary here was built in the 8th century BC and that it was enlarged into an enormous temple around 560 BC. After their bloody suppression of the Ionian rebellion, the Persians sacked and laid waste to Miletus (which they regarded as the instigator) and the Didymaion in 494 BC. It was during this assault that the temple’s cult statue of Apollo was carried off to Ecbatana (modern Hamadan town in Iran). After Alexander the Great defeated the Persians in 334 BC, the Ionian cities regained their independence and work was begun on reconstructing the temple of Apollo. Are you bored from your daily routine? What about taking advantage of Turkey’s treasures and go aboard on an unforgettable Turkish gulet cruise. Sailing Turkey on gulet means much more than spending time on a gulet and swimming in the clear sea – it means a hassle-free vacation, enjoying and discovering marvellous islands and islets and numerous coves. Gulets are gorgeous, wooden sailing boats which served as commercial and trading ships in the past, and have been completely modernised for your indulgence, with their luxury, amenities, appearance and stimulating history. Cruising in Turkey is a luxurious holiday intended for you and your family or friends. A gulet can accommodate various number of people according to its room capacity with an option of personal crew. In addition to accommodation, an experienced crew and some hours of sailing every day, a gulet cruise allows you to try local Turkish food. We know that food is an essential part of your gulet holiday. Our chef will cook all meals from the premium fresh local ingredients for the ultimate Turkish culinary experience. You can set the routes and menus in advance and you can share your own ideas with the captain, tailoring your cruising in Turkey to your own requirements. A gulet cruise from Bodrum, Antalya, Gocek or Marmaris is a great blend of exploring, swimming and cruising along the most beautiful Mediterranean or Aegean coastlines. 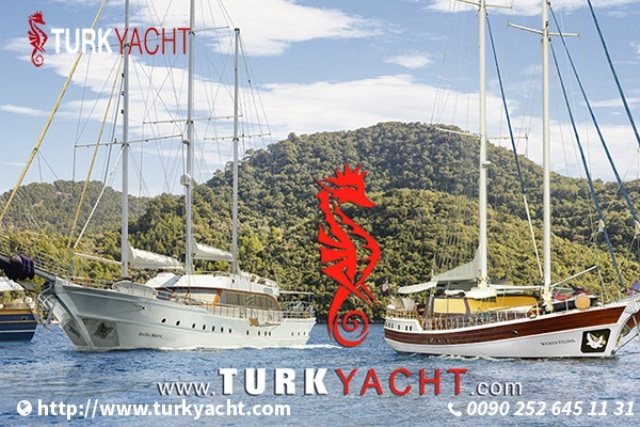 Turkyacht with its wide range of Gulet charter portfolios is at your service. Any time between May and October is the best time to take a gulet cruise. If you want to have more special experience, we advise you to cruise in early or late season. In late season, the sea is warmer and in early season, the weather is not as hot as it is in July or August, but you will love to chill out at deserted bays. There is no need to have to do anything at all on a gulet cruise and the oldies can merely unwind on the deck and be waited on but if they tumble into a a bit sprightlier class, then Grandma and Granddad can leap into the Mediterranean from their gulet and take pleasure in some water-sports activities as effectively! No issue what kind of slant you want to put on your family holidays, turkey can satisfy even the fussiest of kids (and older people! ), with a selection of activities to match absolutely everyone. No subject whether your family is the kind that wants to devote the total getaway frolicking on the seaside, only emerging to hit the pool or you are a a lot more cultured bunch who loves to soak up the history and art of your picked destination you will discover everything you need to have on your family members holiday seasons in turkey. 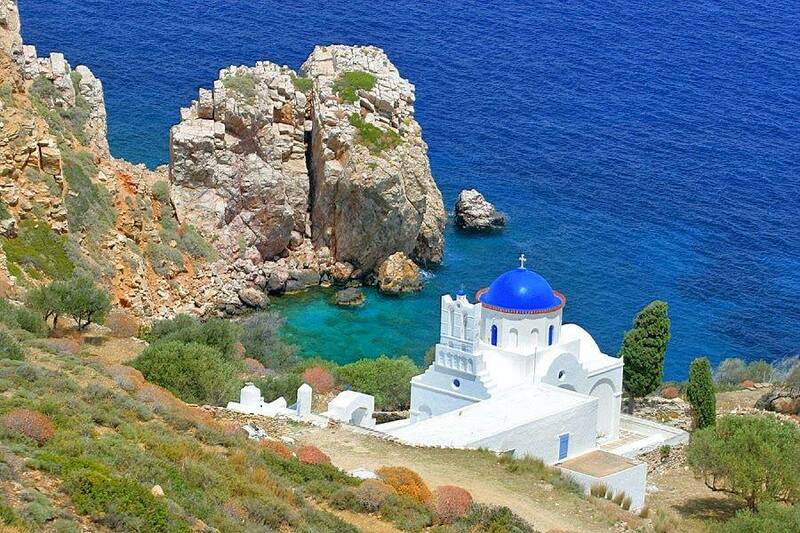 Akbuk is one of the worth-seeing natural resorts in Aegean. It is among the places which those who want the silence and calmness on their holidays can prefer. There is the blue flag beach in Akbuk which has a long coastline. The town has lots of forest area and greenness. It supplies comfort to the visitors with its nature which hasn’t been ruined. Akbuk Cove has the natural marina character. And it is also very convenient for the yacht tourism. Destinations fluctuate from Marmaris on the Turkish mainland to outings to Kos and Rhodes. There are assorted pursuits associated as effectively, from checking out 18th century monasteries to swimming in the heat distinct drinking water of Turkey’s stunning coves.